Knights of the Old Republic III only made it to pre-production, but Obsidian had big plans for what would have been the series' final installment. Knights of the Old Republic II: The Sith Lords was the game that put Obsidian Entertainment on the map. Despite its flaws, there was enough passion behind the game that Obsidian was ready to get to work on a follow-up title to conclude what would have been the KOTOR trilogy - but alas, the project never got the green light. 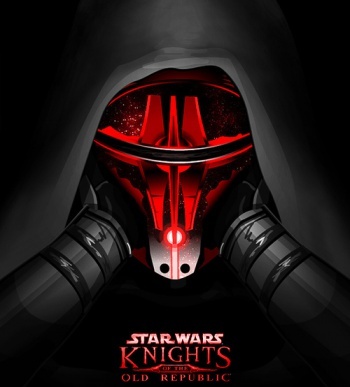 Evidently, this third game would have featured KOTOR II's protagonist following in the footsteps of Darth Revan to unravel a sinister galactic conspiracy. "I always liked the idea that Revan ... was actually even more of a brilliant strategist than became apparent in the first game," says Obsidian's Chris Avellone. The second game implies that Revan may have discovered a vast threat on the edge of the galaxy - which apparently would have been an ancient, immensely powerful Sith empire. "If they could shape entire planets or galaxies or nebulas, and they had all these slave races at their disposal, how cool would that be?" Avellone asks. "To go into the heart of darkness and you're the lone Jedi and/or new version of the Sith confronting these guys? What would that be like? I thought that would be pretty epic." Epic, indeed. KOTOR III almost certainly won't be revived at this point, since many of its ideas were either incorporated into or overwritten by the Old Republic MMO. Still, the legacy Avellone created with Revan won't soon be forgotten.